My name is Olga but I have used name Gwendolen as my nickname on the Internet for so long that it has become very natural for me, so I used it in this blog for the first couple of years, switching to Olga after that. It is very easy to guess that this blog is all about dolls: dolls themselves, doll fashion, dolls’ life. Also, in this blog I often talk about the history of fashion in general. My extensive collection includes A Girl for All Time, American Girl, Carpatina, Sasha, Goetz, Kidz’n’Cats, Australian Girl, Maru and Friends, Tonner dolls, and lots of BJD dolls. I don’t collect Barbie dolls even though I have a couple of them in my collection. My interest in BJD dolls is rather limited to the realistic looking dolls that I like myself. 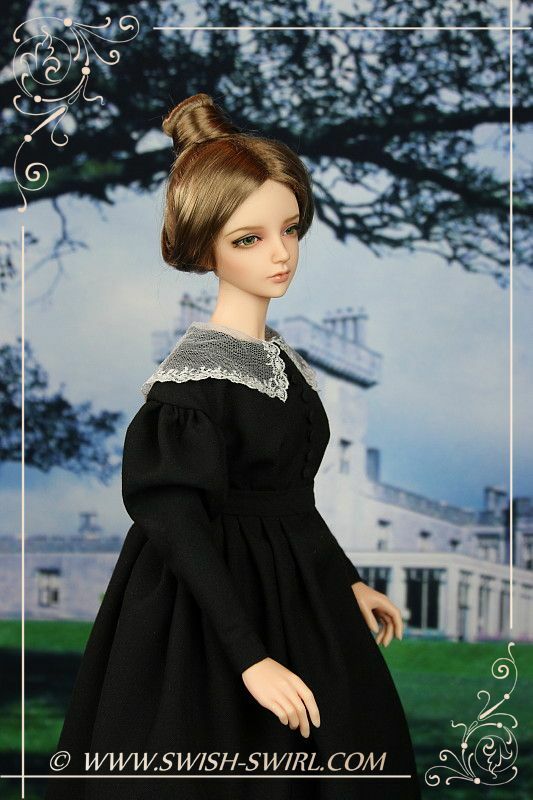 I am a huge fan of Iplehouse and Bo Bergemann dolls, and I also like some isolated dolls by other companies (particularly SD-sized ones). I love making clothes for my dolls: sewing, crocheting, knitting, cross-stitching, embroidery, beading – you name it! And I love sharing my creations. I prefer historical and elegant contemporary outfits, so that’s what I specialize in. Also, I love realistic looking doll clothes, so I always strive to achieve that realistic and authentic look for my creations. That means that for historical outfits I would try to make them historically accurate and not to simplify them whenever possible, and for contemporary ones I would always look for fabric with small prints, thin yarns, tiny buttons and would use thin knitting needles and crochet hooks. One of my main hobbies is photography and I love taking pictures of my dolls, so there are lots of those on the pages of this blog. I hope you will like it here. 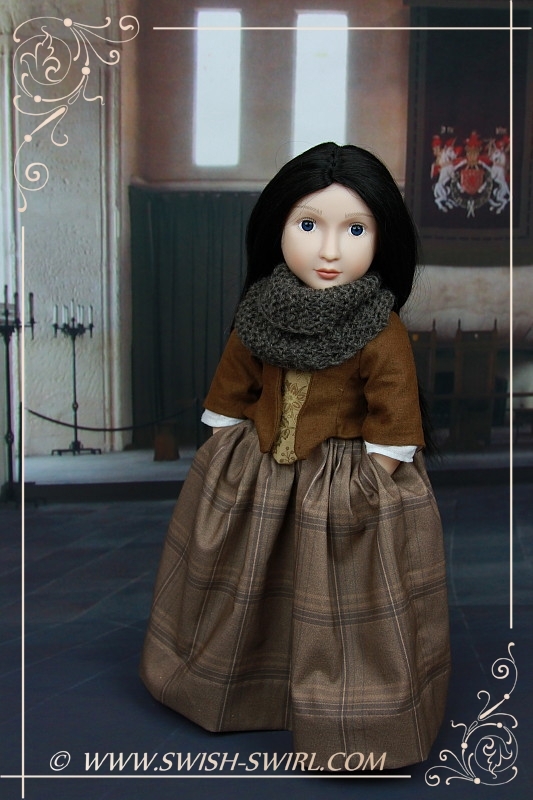 Recently I have started customizing my dolls into my favourite characters of various TV series – Outlander, Poldark, Versailles, Doctor Who, Merlin, Jane Eyre, North and South, to name just a few. I have been taking those dolls to their respective filming locations and taking lots of photographs. All of these are also in this blog. I love comments, so please feel free to leave them. That will show me that my efforts are appreciated. I speak English, Russian and Spanish, understand Polish and also a tiny little bit of French and Italian. Так уж получилось, что считал занятие куклами детской забавой. Но, увидев, практически с самого начала, удивительный мир кукол на сайте, я стал заходить сюда постоянно, чтобы не пропустить показ очередного шедевра. А мне всегда нравились Мастера своего дела! И я тоже в восторге от чудесного кукольного царства, а еще больше от фанатичной увлеченности его обладателя! Умелый подбор кукол для коллекции, огромное желание одеть их в одежду, сделанную своими руками, прекрасные фотографии говорят о несомненном многогранном таланте и профессионализме Gwendolen! Спасибо всем! И исполнения задуманного! I have had a lovely evening, reeading about your dolls. I have just bought a Gotz doll with the same face and sculpt as your Winter doll, but nobody can tell me who she is – not even the Gotz company staff. My investigation goes on – she must have a name! Thank you, Jenni, I am glad you like my blog. Can you please send me a photo of your doll and I’ll see if I can help. If she is has long brown hair and blue eyes then there are only 3 possibilities: Winter doll 2007, Figure-skater 2008 or Isabella (special edition) – not sure about the year, but she is a more recent one. I will be happy to help you in your investigation! I found your site while looking for info on Kidz n Cats dolls. I’m amazed to see that we collect so many of the same dolls. I have American Girl, Magic Attic, Tonner, Carpatina, Stardust Classics, Gotz and I’ve just added Kidz n Cats dolls. There will be 5 in a few days. I sew for them and make doll houses for them. Hi Phyllis, Welcome to the blog! I just found your site while searching for Thimbles and Acorn patterns. I love history and love the 18″ dolls. I did not know there were so many. I love your patterns and love them. I find here where I live the girls are not so interested in historical. I love learning. Thank you for sharing your thoughts. Thank you so much, Darlene! And welcome!